It’s been busy old start to the year fashion wise, what with all the excitement on ‘older’ and then the new Finery brand to get excited about (did you buy? I did and it’s lovely stuff). 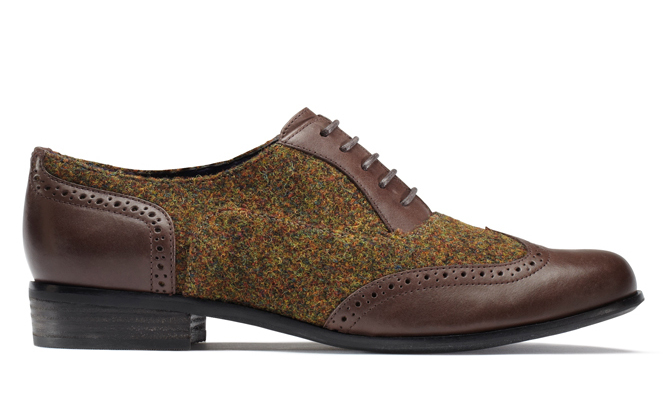 Now here’s another, smaller brand launch from yet another industry insider. A Day In A Life is launched this month by Davina Payne, who has done her time at the fashion industry coalface working for brands such as Pringle and Gerrard Darel. Her small range of easy to wear dresses and separates are aimed at modern grown up women who want easy to wear clothes that multi task. Davina wanted something that, as a busy working mum, she could do the school run-to office-to grown up meeting-back to kids pick up-kind of day in, and still feel good. Indeed the range’s name and the way in which it’s presented on the website promotes an ‘everyday’ feel, albeit a nicely styled ‘normal’, and uses real women rather than models to show the clothes. Davina splits her time living between the UK and Greece, where she has a surf station (of course she has…) and that seaside living might be responsible for the lightness of touch to the styles and shapes. 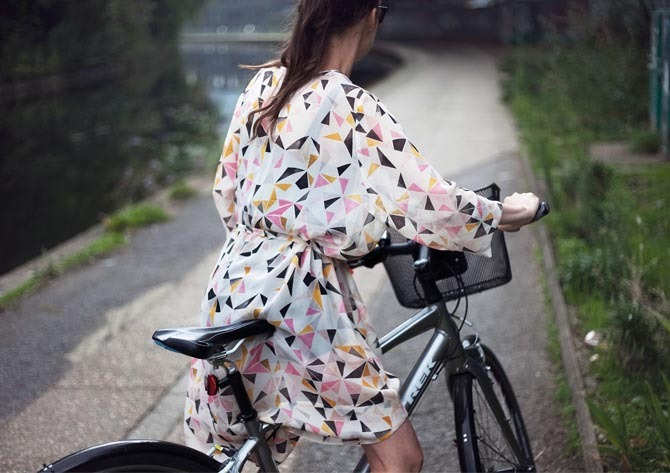 Although this isn’t really my style, I can see a number of our regular readers in some of these clothes, particularly the 100% silk chiffon geo print dress (above at £250) which also comes in black (see below). The production values are high, the silk is fabulously thick and my only moan is that the sizes are xs-s or m-l. I suspect this is because, as a new company, Davina will not be able to afford to stock too many size ratios, let’s hope that as she gets more successful the sizes will increase. 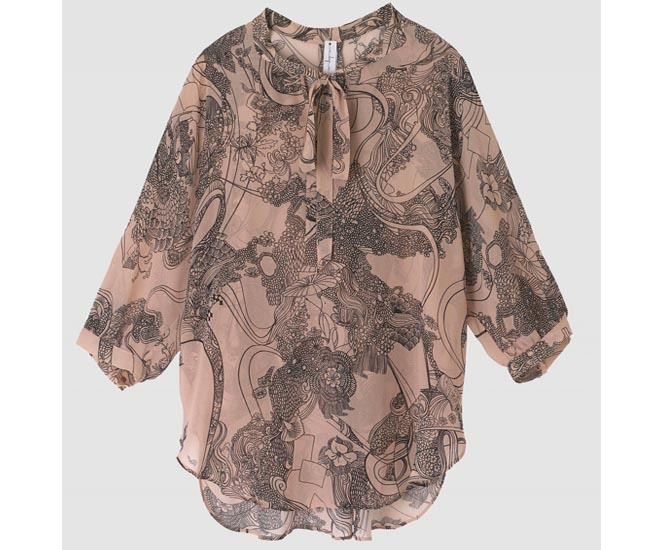 Meanwhile, check out the pretty Celia Birtwell-looking print on the pretty silk top below, which is a great shape. 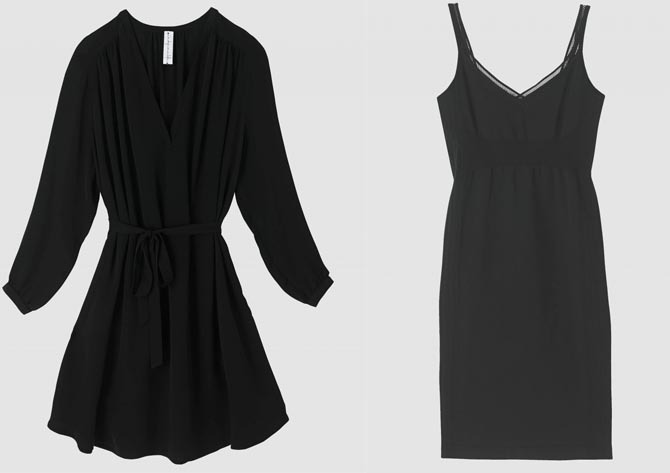 And if I was a one-size (read thin) sized person person, I’d wear the beautiful, engineered-knit slip dress, below right, with its dainty lingerie details on the neckline, and never take it off all summer. I would feel like one of those fabulous Sophia Lauren looking Italian girls out of the Dolce et Gabbana adverts. 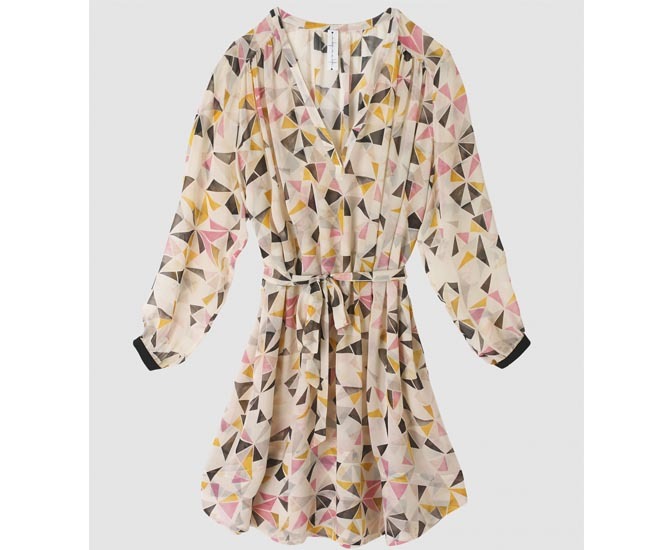 However since I am not a stick, I would consider it as an under dress for wearing under bigger, chiffon numbers for the summer, the quality is really lovely and although it’s one-size, it would stretch over my lumpier bits. So A Day In A Life, definitely a brand to watch over the next few months and once again, you heard it here first. I love the blouse you have shown. Have you actually seen the clothes in person, Amanda? Maybe they’d be good with the Mih jeans I was tempted to buy after you had featured them? Aren’t the DG adverts always styled just perfectly? I have to really pinch myself to remember that actually nothing in them would fit into my life (that, and the quite heart stoppingly high prices, of course).